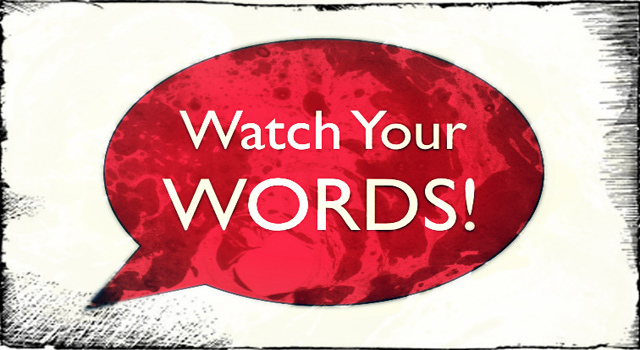 The parody of the misuse of words - news, articles, blogs and more. The mechanics of the English language can sometimes leave you reeling, your or you’re, advice or advise – we’ve put together a list of the most common words that are often used incorrectly, so you can get it right. Advise is a verb meaning ‘to offer an opinion or suggestion’. Advice is a noun meaning ‘a recommendation offered as a guide to action’. Your shows that something belongs to you or is related to you i.e. your car, your house etc. You’re is an abbreviation for ‘you are’. Stationary means ‘fixed on one place, not moving’. Stationery is materials used in writing such as paper, pens, pencils etc. Mute means ‘making no sound’ and moot means ‘of no importance’. Peak means ‘the most extreme possible amount or value’. Peek means ‘a secret look’. Everyday is an adjective use to describe things that occur every day, or are ordinary or commonplace. In the two-word phrase every day, the adjective ‘every’ modifies the noun ‘day’ and the phrase usually functions adverbially. For example, every day you eat breakfast. You brush your teeth every day. These are everyday activities. Quite simply, accept is to received and except is to exclude. Where is used to indicate a place “Where are we?” and wear has to do with clothes or fatigue “What shall I wear today?”, “Look at the wear and tear on that sofa”. Right has various meanings, including correct, fitting, and direct i.e “the right answer”, “turn right”, “the woman on the right”. Write means to mark down coherent words on paper, usually with pen or pencil. Write may also refer to composing a musical work. Related words are writes, wrote, writing, written, writable. Although these words are pronounced the same way they have very different meanings. Discreet implies the showing of reserve and prudence in one’s behaviour or speech, “You must be very discreet”. Discrete means distinct, separate and unrelated, “This issue is discrete from the others”. A hanger is someone who hangs something, or an item used to hang things. A hangar is a shelter used for housing and maintaining aircraft. Hear is a verb having to do with the ability to perceive sound. “Can you hear me?”. The word here can function as an adverb, adjective, and a noun. All of its uses deal with the location or place of a particular person or thing. “We’ll stop here for lunch”. A hoard is an accumulated store or stash. A horde refers to a large crowd. If you have a hoard of something, a horde of people might try to take it from you. Although these two words sound the same they have very different meanings. An isle is a mass of land, where an aisle is a passageway between rows. These two words are commonly confused, but once you know the meanings you won’t make the mistake again! Past can be a noun, meaning ‘what has already happened’. Passed is always a verb and is formed by adding -ed to the present tense verb, pass. For example; “It is one day past the deadline.” and “The parade passed the town square.”. Pore refers to deep meditation or study, whereas pour is what you do with milk over cereal. It’s common for these three words to be misused because they all sound the same when spoken. So, what is the difference between them? There is the opposite of ‘here’. It means ‘in that place’ not here. A: Where is my pen? – B: It’s over there. Their shows possession, that something belongs to them. They’re is the abbreviation of they are, i.e. they’re great = they are great. These are both commonly confused words but differ greatly in use and meaning. I would like to go there very much. Very similar words but slightly different meanings. A warranty is a guarantee, where a warrantee is a person who is guaranteed something. My washing machine has a three-year warranty. You are the warrantee for this appliance. Who’s is an abbreviation of who is or who has. Whose is the possessive form of who or which. Who’s going to the party next week? Whose birthday is it tomorrow? Which is a pronoun meaning the particular one or ones in a group. A witch is a woman who is believed to have magical powers and puts spells on people. She is like an old witch. These two words have different meanings, but are pronounced the same. Break means to shatter, to crack or to make unusable. Brake means to use the brake on a vehicle or mechanical device. I will break this cookie in half for us to share. I will be taking a break at 1pm. Don’t forget to use the brake. I had to press the brake pedal hard to avoid the cat. The English language can be tricky sometimes but hopefully these tips have helped you distinguish and understand when to use words that sound the same but are spelled differently, and can put a completely different meaning to your sentence! Plesilium Ltd offer copywriting services, for more information get in touch! info@plesilium.co.uk / 01920 318202. What can a website do? Know your English – how to write proper!